Small and large scale operations can benefit with models ranging from 209 to 2105 kg. Compatible with cube or nugget ice. 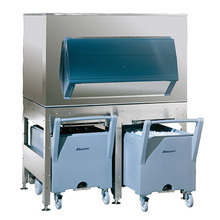 The fastest and easiest way to dispense and transport large quantities of ice without hand contact. 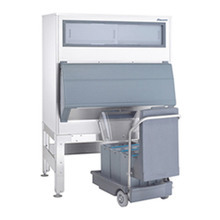 Dispense over 200 lbs (91 kg) of ice in seconds. Available from 227 to 1474 kg.